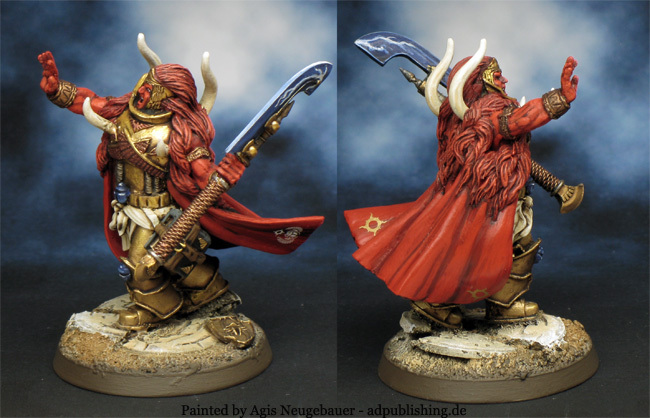 Magnus the Red, the Primarch of the Thousand Sons Traitor Legion, is one of the few surviving Primarchs and is in 40K an extremely powerful Daemon Prince of the Chaos God Tzeentch. 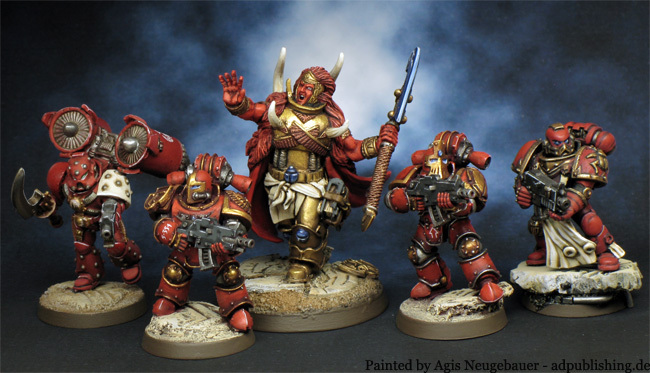 He was also known during the early years of the Imperium as the Crimson King and the Red Cyclops. A giant in both physical and mental terms whilst still an inhabitant of the Materium, the copper-skinned Magnus possessed tremendous innate psychic ability, and constantly sought to understand the nature of the Warp, becoming a Sorcerer of formidable power. 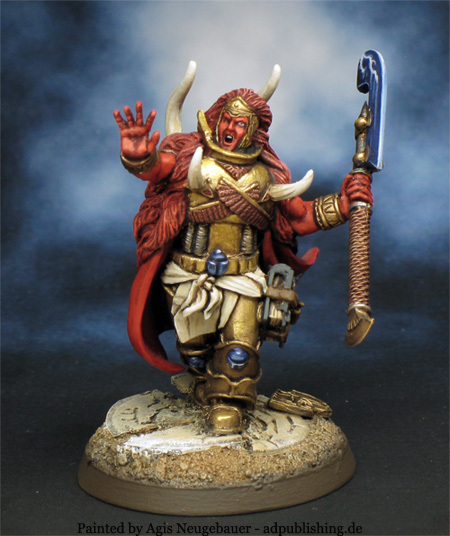 Magnus thought he would be able to control the Great Ocean of psychic energy that was the Warp; however, his prodigious and careless application of his psychic gifts eventually caused him to fall out of favour with his father, the Emperor of Mankind, as well as with the majority of his brother Primarchs. His psychic immaturity, recklessness, and arrogance also caused his own undoing, as it eventually brought about his own damnation and servitude to the Dark God of Change Tzeentch. In the end, Magnus lead his XVth Legion to the banner of Horus and fought on the Arch-Heretic's side during the Great Betrayal of the Horus Heresy. He survived those events and ascended to the position of a Daemon Prince of Tzeentch as a reward for his service to the Changer of Ways. He has spent the majority of the ten millennia since the end of the Horus Heresy ensconced atop his tower upon the Planet of the Sorcerers within the Eye of Terror, planning the ultimate destruction of the Imperium he believes betrayed him and his Legion. 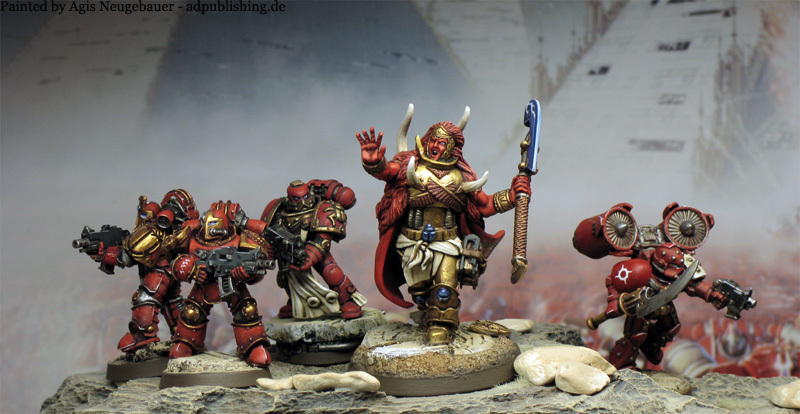 Magnus' greatest grudge, however, is with the Space Marines of the Space Wolves, who he holds accountable for the destruction of his homeworld of Prospero and the corruption of his Legion during the early days of the Horus Heresy. The mini is of an unknown manufactor who sold it via ebay. 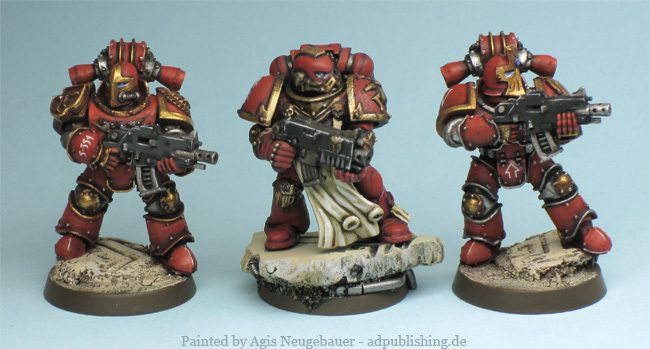 The mini in the middle is based on a Mk IV Armour Black Templar, Scarabs are made of Greenstuff. 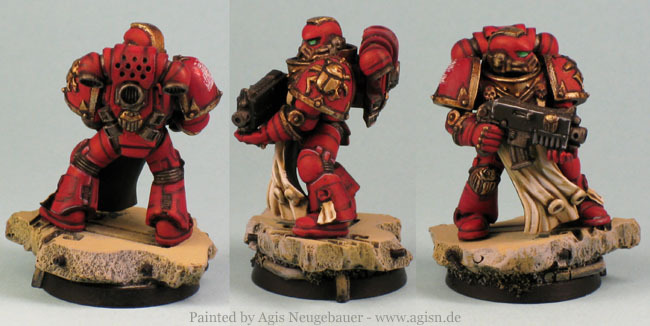 Two more added, this time Mk III Forge World Marines with after market helmets, left shoulder pad and honour shield. Jump Pack by MAXMINI, Kopesh Sword by Kromlech, Marine by Forge World.